Coming on lake Baikal and having superfluous time you certainly want to see the ancient Siberian city of Irkutsk. You can to visit a museum, theatre or to go in restaurant, however first of all you will wish to see of what is not in other cities. The city is known first of all for a rich history and distinguishes Irkutsk from other cities ancient architecture of stone and wooden houses still saved in city centre, a lot of monuments and churches. Irkutsk city - " In the center of the ground ''-so is spoken by Siberians because it is removed on equal parts from three world oceans; Arctic, Pacific and Indian. City based in 1661 in a place of merge of the rivers of the Angara and the Irkut, nowadays the administrative, industrial and cultural center of Irkutsk area. Here on high coast, on the Verkholensky and it is especial on mountain Kajsky, the first population of Pribaikalye thousand years ago has appeared. It is proved with archeological excavations. In the summer of 1661 the Yenisei commander sends to seignioral son Jacob Pohabovu of 60 cossacks and orders to go there on a mouth of the Irkut, n that hour immediately to find the most suitable place here again to put a jail for gathering a tribute and for protection against attacks of indigenous population. So began the existence Irkutsk more three hundred years ago. In first hundred years the wooden city some times burned and built up anew, however were saved enough cultural and historical objects which have held in remembrance that far time..
Monument I reign to Alexander to the third was will erect in 1908 under the project of sculptor Bah in honour of the termination сonstructions of the Siberian railway. The figure of tsar has stood up to 1920 then it have removed and have put a spike, and in 2003 again have established a figure of tsar. On a pedestal it is possible to see portraits of people, whose names are strongly connected with a history of Siberia:Ermak, M.M.Speransky's column and the general - governor of Eastern Siberia N.N.Muravjeva-Amursky. Below a figure reigning the eagle having two head which is located holds the letter with the arms of city. It is necessary to note, it is a known place for meetings and acquaintances of Irkutsk youth as it is located near to popular island of the Youth and quay - the center of entertainments and mass walks of the townspeople and visitors of city. 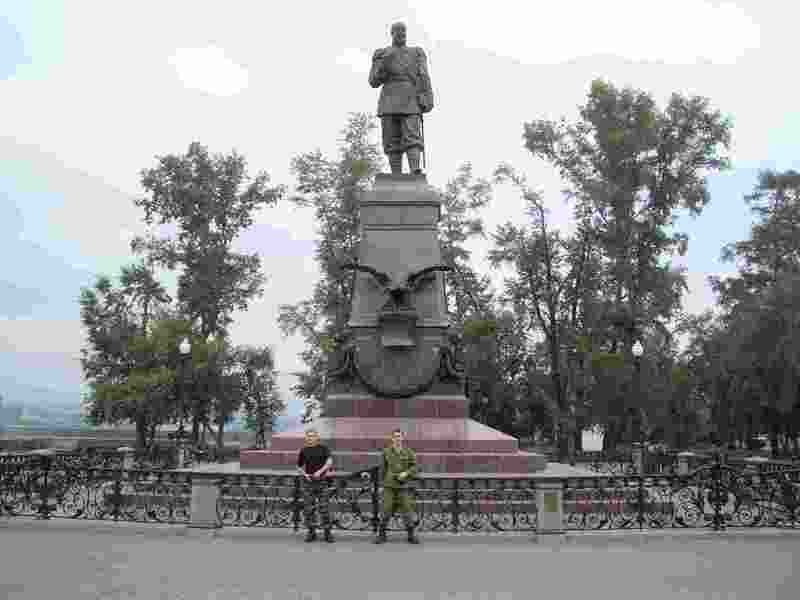 The monument is located on quay of Angara on crossing of street of Charles Marksa and parkway of Gagarin. Cultural ornament of city is the building of drama theatre of a name N.P.Ohlopkov Its history goes back to 18- th to a century. Irkutsk was the third country town after Tula and Kharkov of cities where the secular theatre has opened, and the first theatrical city of Siberia. 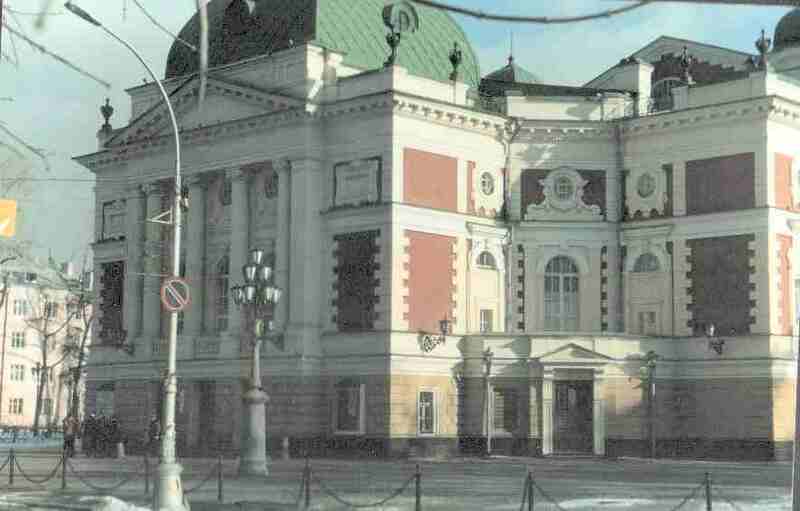 Date of a birth of theatre should be counted year 1787 - year of the first representation, however a present stone building of theatre have constructed in the middle of 19-th century under V.A.Shretera's project for that time of the leading theatrical architect of Russia. A site of street of Charles Marksa, 14. 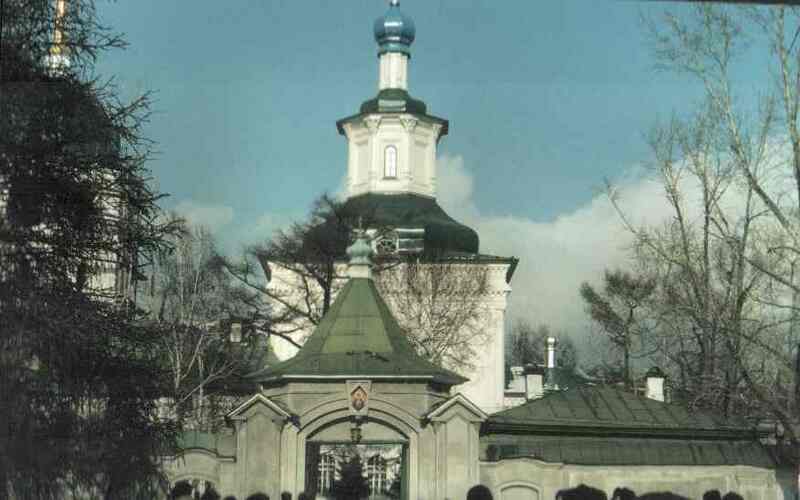 This stone Znamensky a monastery has been constructed in 1757 - 1760, is an architectural monument of 18-th century. It is remarkable, that tsar Peter 1 has sent in church a gift the Gospel with the autographic signature. This book and to this day carefully to be kept in the gold salary. The church is some kind of storehouse of the art values created by talent of old Irkutsk masters - icons with silver salaries, a carved tree. In its territory some memorial burial places - G.I.Shelihov's tomb, Е. I.Trubetskoj and her children, decembrists V.A.Beschastny , P.A.Muhanov , N.A.Panov. Site - the bottom quay of Angara at entrance to suburb Znamensky. Monument to Grigory Ivanovichu Shelekhov - to the well-known figure of Siberia, the trailblazer, the seafarer, the statesman. He was one of initiators of the basis Russian - the American campaign, settlements on Pacific ocean and on Alaska, much has made for development of trade and the industry in Siberia. 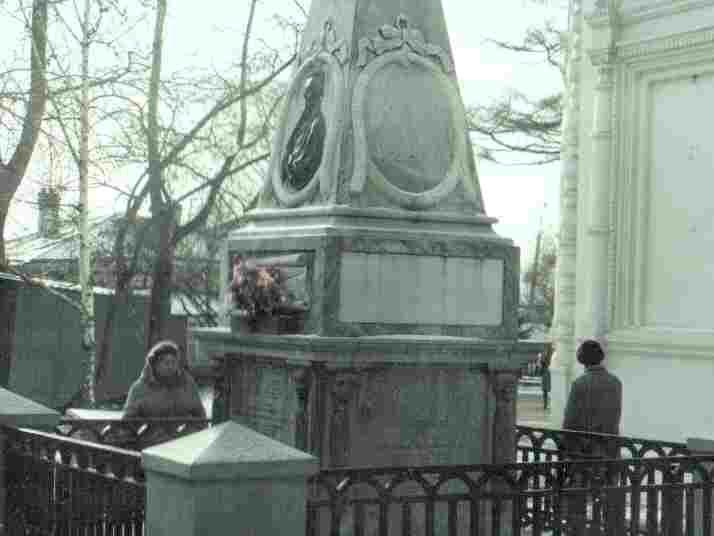 G.I.Shelihov in 1795 has died, the monument for him has been reserved by his wife to Ekaterinburg to stone-cutting factory and represents the big public value. Site of a monument in Znamensky's territory of a monastery. 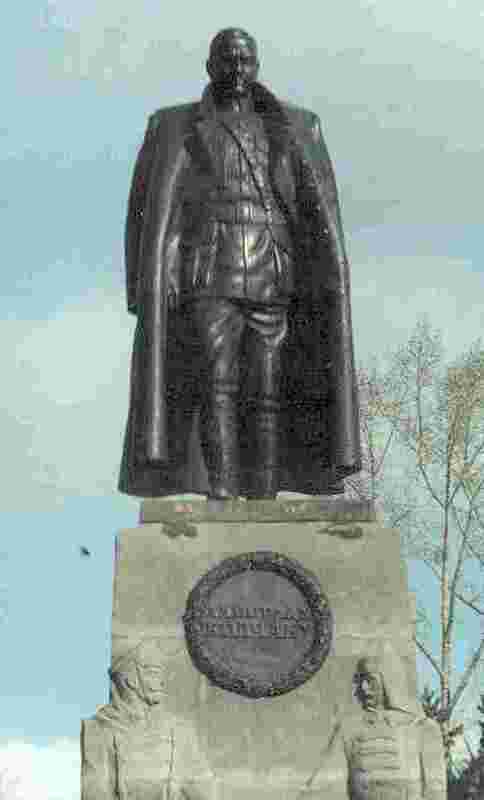 Monument to admiral Kolchak - to the known researcher of northern seas, the seafarer and also the legendary person of White Guard resistance and the governor of Siberia within civil war. Admiral Kolchak has been killed to Irkutsk city, in a mouth of the river Ushakovka on the right to coast of the Angara river opposite the Znamensky churches, fighters of 5-th red army under the order of governor Lenin in 1920. 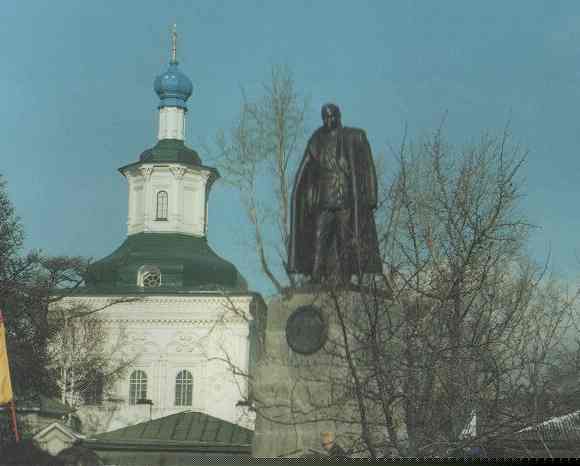 And only on November, 4, 2004, about Znamensky church, the present monument to legendary admiral Kolchak has been established. The Polish church. It was developed by the Pole, architect Tamulevich. The church on the means collected by the Polish exiled was erected. The history of it is those. 19 century is characteristic for Poland growth national - emancipating movement. In 1831 there was a revolt, and the imperial government has banished of thousand Poles to Siberia. In 1863 again revolt, and again the Polish insurgents go to Siberia. In total tsar has banished over twenty thousand person. 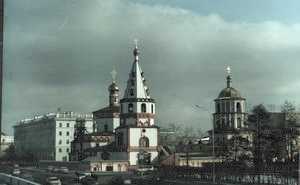 The imperial administration, counting on the help of religion, allows to construct Catholic church in Irkutsk, and in 1826 on the Tikhvin area the wooden church is under construction. It began for Poles not only the religious center but also the center of association of Russian and Polish political and cultural forces. The church on the Tikhvin area behind a building of management of IrkutskEnergo is located. 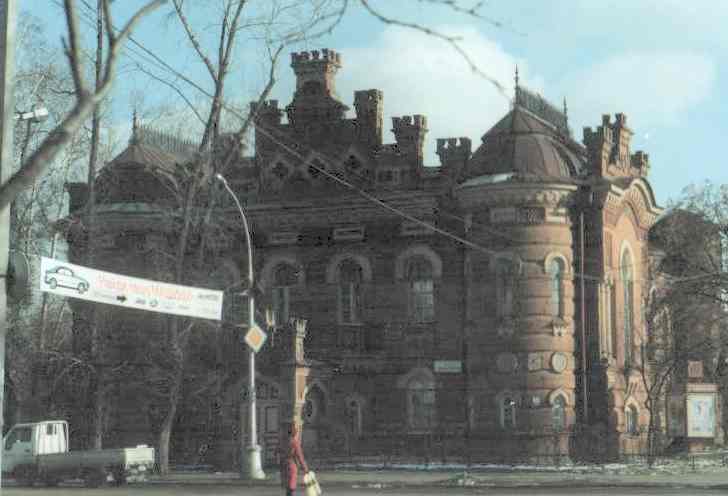 The house - a museum of decembristsTrubetsky.This typical building of the middle of 19 centuries, an empire style in a tree, is, undoubtedly, not only historical, but also an architectural monument. In a museum subjects and furniture of times of stay in Siberia decembrists are collected. And also relics belonging to decembrists. And in a court yard there was a horse court yard with the attached former stables. In the house there are evenings of decembrists and Pushkin, scientific messages are made. And also music of those old years sounds. Visitors of Irkutsk always with gratitude respond about visit to the house a museum. 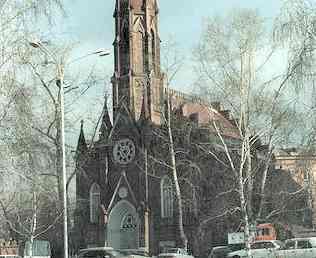 It is located in Irkutsk to the address of Dzerjinsky street. 64. The Spassky church. 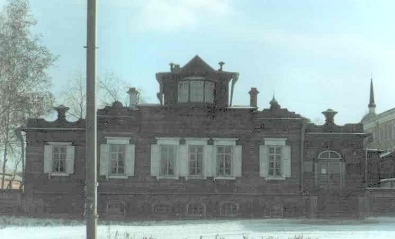 It was constructed in 1682 in a wooden variant in Irkutsk a jail and has stood 35 years and has burned down in 1706. It was the very first church of a jail. The stone church, was saved up to now, have put in pawn in 1716 and built 10 years. Now it is beautiful church shining with bright domes and sparkling gold crosses above them. It is a monument of lasting value for all East - Siberian territory. It saves in itself many features primordially Russian architecture. Lists on internal walls tell about a christening of the local Buryat population, about voluntary its connection to multinational Russia. The church on crossing of the Bottom Quay and street Suhe-Bator is located. The regional study of local lore museum is erected in 1891 under the project T.V.Rozena in the moorish style, decorated with angular towers, serf peaks, openwork lattices of balconies, columns. From the forward side of a building is higher than windows of the second floor in a stone names connected are immortalized with Irkutsk great trailblazers, seafarers and researchers of a northeast part of Asia such as:Palass, Bering, Shelekhov and other great names. It looks very effectively and on nowadays is an ornament of city and the carrier of a history the Siberian edge. The museum opposite to a monument to Alexander 3 to the address of Charles Marksa's street 2 is located. Regional art museum - street. Lenin 5. Branch of an art museum - Charles Marks's street 23. Museum of the nature - street of Charles Marks 13. Musical theatre - street. Sedov 25.